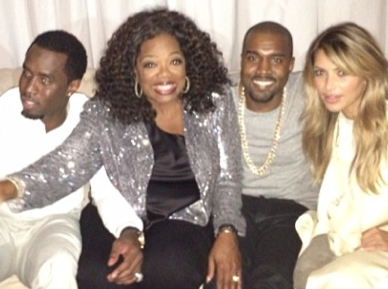 (Photos) High-End Friends: Diddy, Kanye, Kim, And Oprah Hang Out Together! The best of the best had a fun little night out. Oprah, Diddy, Kanye, and Kim all hung out together the other night and it looks like they had fun. Click below to check out the photos! Pointy and round nails have been in for a while now, and the trend is still going strong. Everyone from Rihanna to Rita Ora have been seen rockin them, and you should too! Click below for some cute photos of the trend. Lola Monroe And Draya Celebrate Cassie’s Birthday! Click below for some cute photos of Lola Monroe, Draya and Cassie celebrating in Las Vegas!